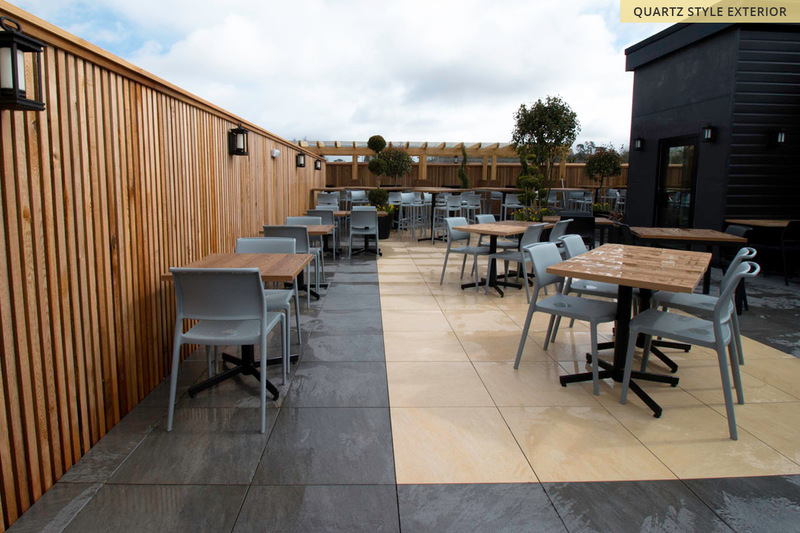 Surface 360’s stone-effect porcelain paving tiles have transformed another JD Wetherspoon’s roof terrace on Andover High Street. 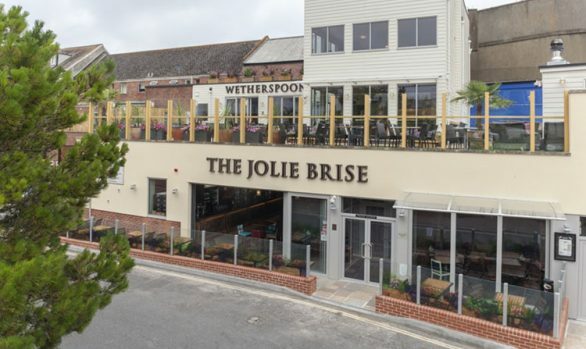 The 351m² wrap-around outside space is situated at the top of The John Russell Fox pub which now boasts a brand new, two-tone floor which has created a new dining area for their customers. 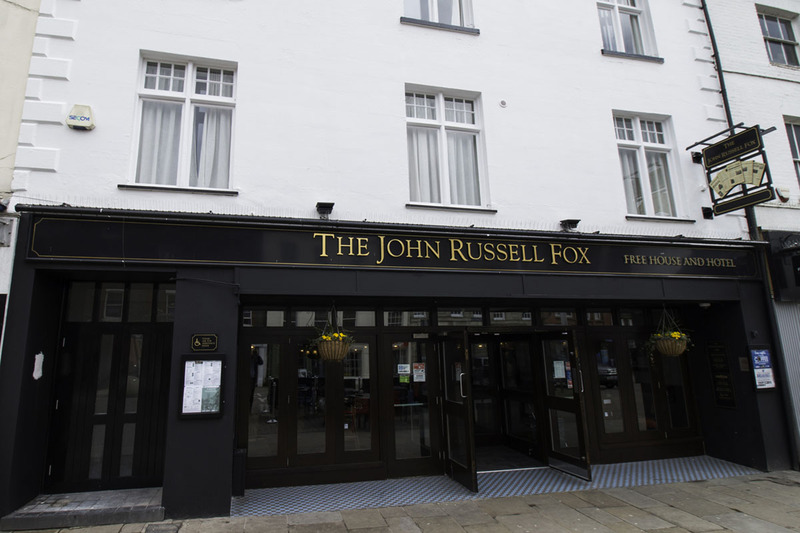 The aptly named pub nods to the former home of the Andover Advertiser, founded by John Russell Fox who produced the first ever edition at this address back in 1858. 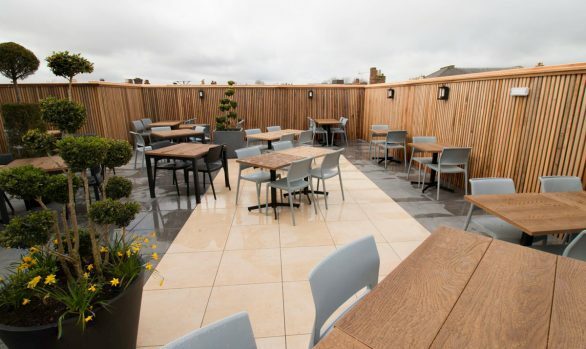 Steeped in history, the pub has now invested in modern touches that are in keeping with its historic roots, offering its customers more than ever before. 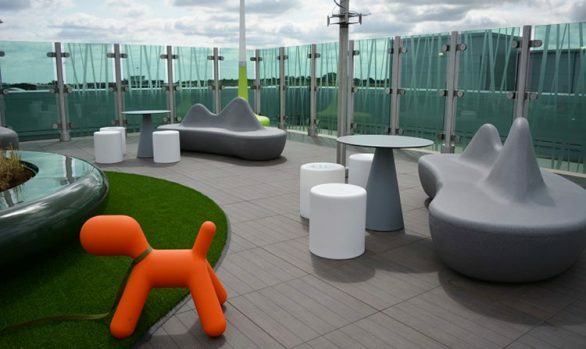 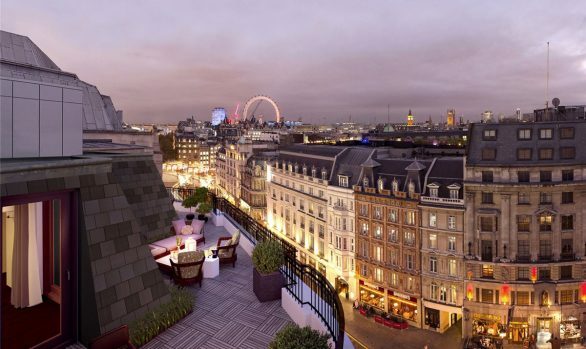 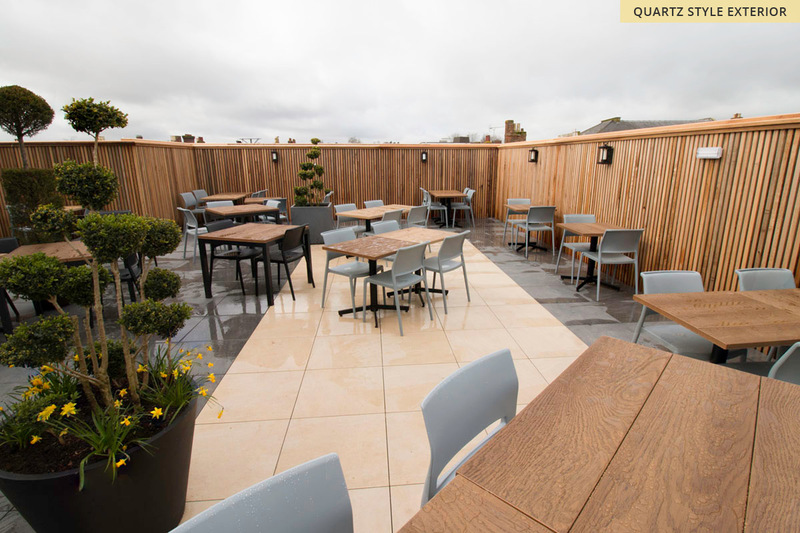 “Since I last visited, they have opened a new roof garden. 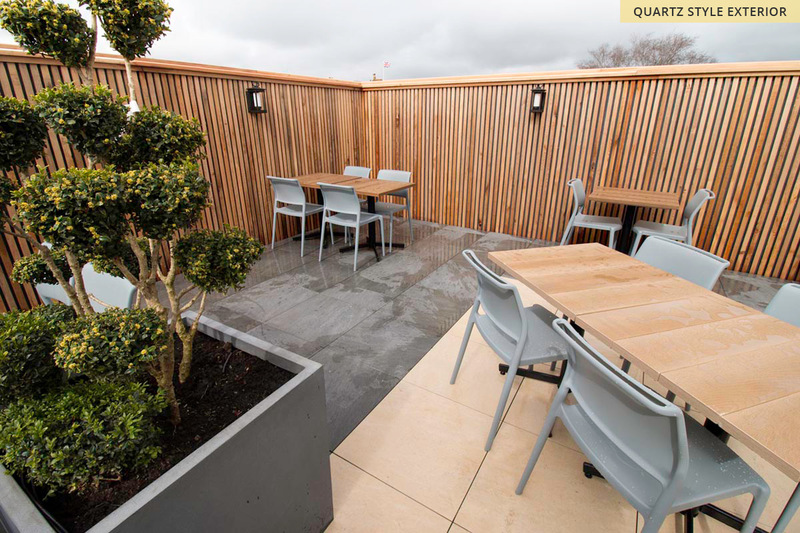 It’s lovely!” exclaims a Tripadvisor customer. 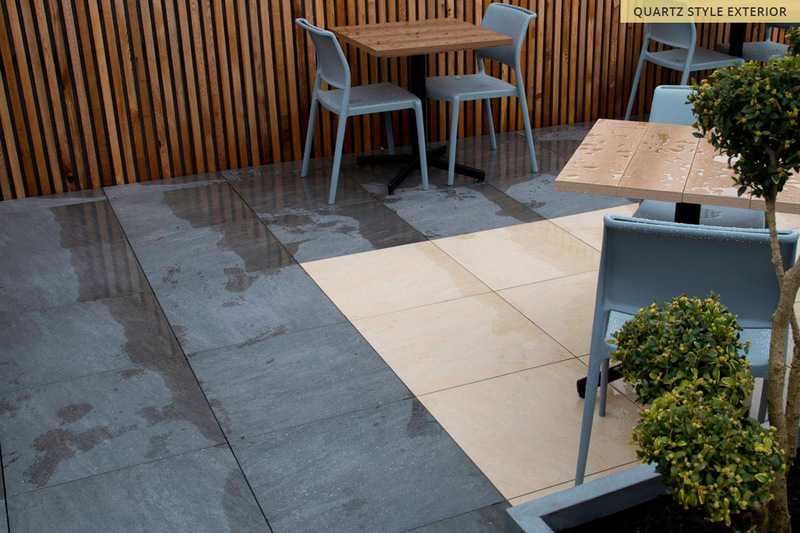 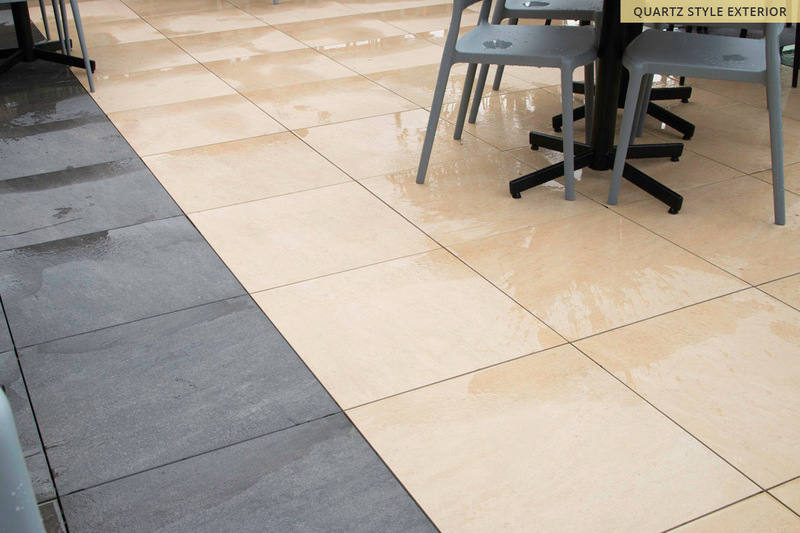 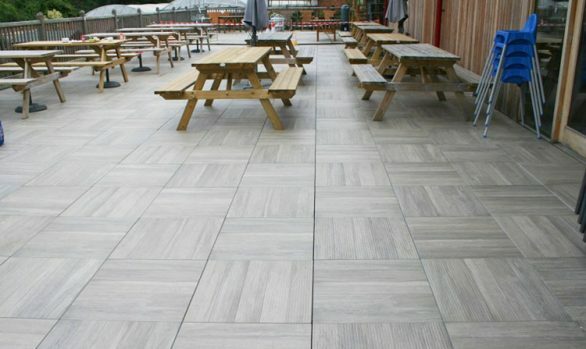 The fully licensed outside area has utilised the Levato Mono Quartz Style paving tiles from the 20mm porcelain exterior range by Surface 360. 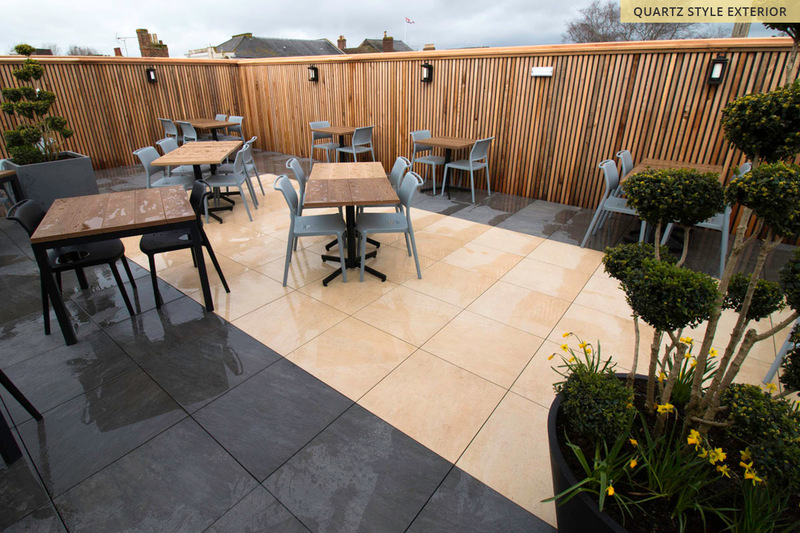 The decision to use two contrasting colours creates a central focus on both the upper and lower deck of the roof terrace, by using light sand coloured tiles boarded by dark grey tiles colour, which continued onto the connecting steps. 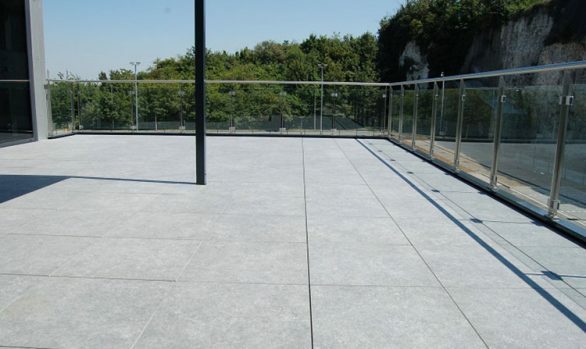 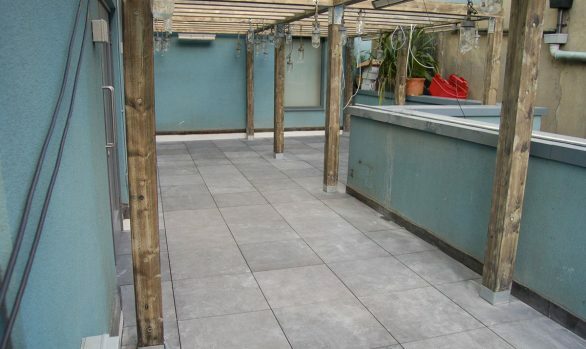 The Quartz Style paving tiles were installed on top of a self levelling, height adjustable pedestal support system to create a high load bearing raised floor. 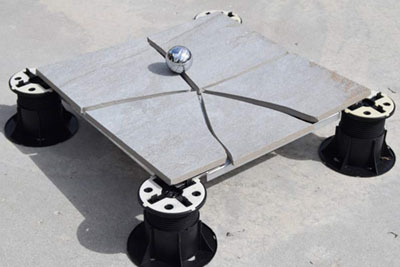 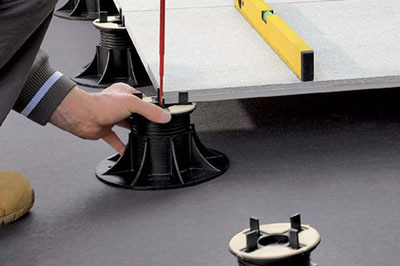 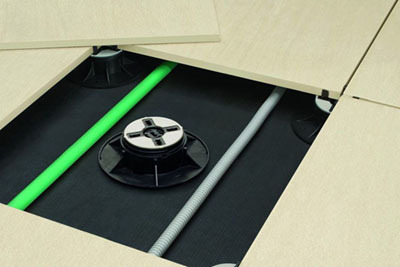 The pedestal system allowed Surface 360 to level out and efficiently install the 20mm floor tiles in record time. 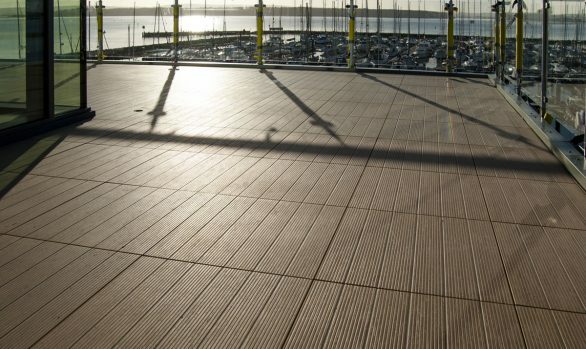 The raised floor also allows for uninterrupted drainage to run underneath, which is ideal for those not so sunny English days. 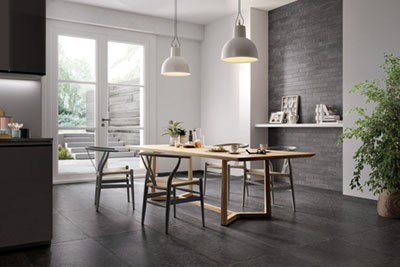 Technology has enabled Surface 360 to produce unbelievable hyper-realistic stone-effect tiles from porcelain. 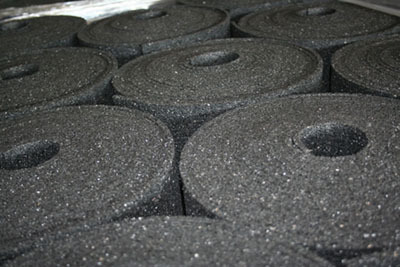 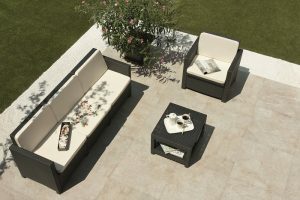 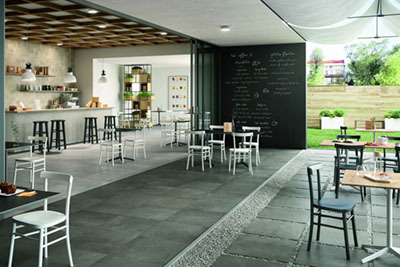 So much so, that it’s possible to reproduce almost the exact appearance of natural stones and their surface textures. 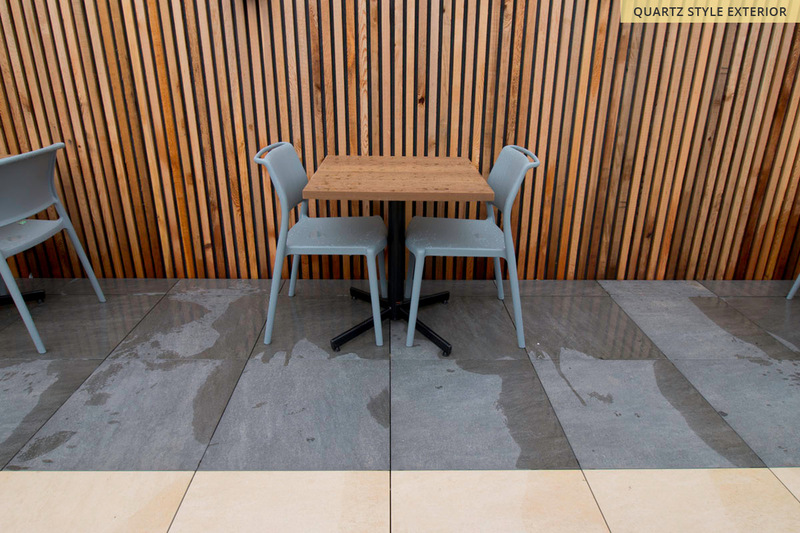 Based on natural Quartzite, the Quartz Style stone-effect porcelain offers subtle varying shades and distinctive stone marking with a textured surface. 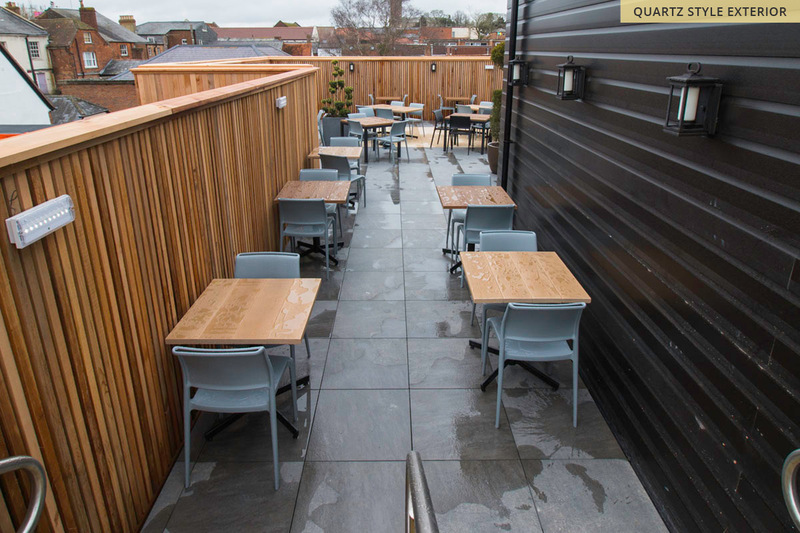 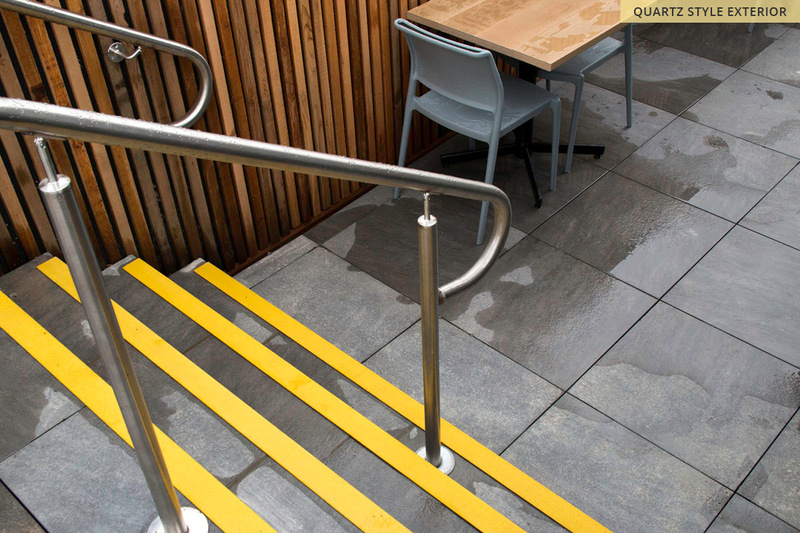 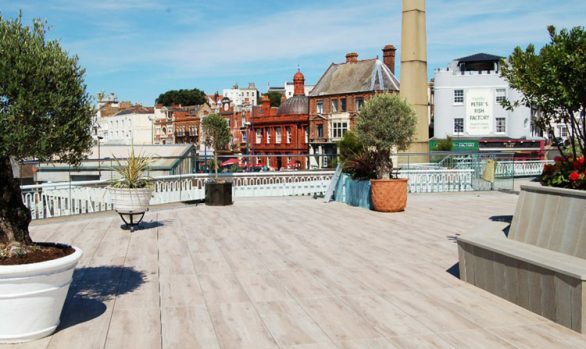 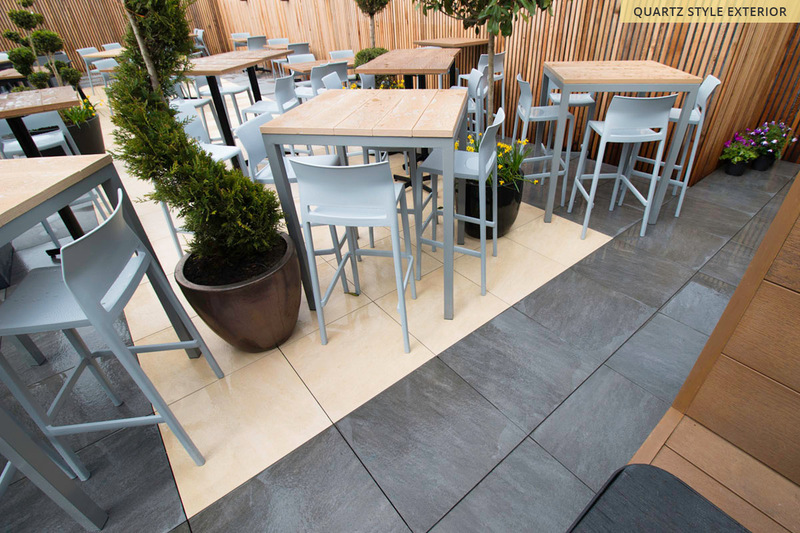 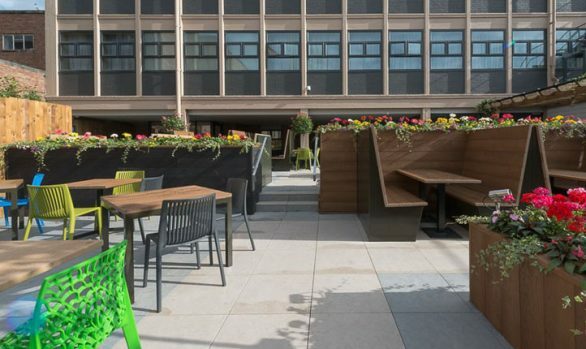 As well as providing a refreshed new look for the roof terrace, the textured stone-effect surface provides excellent slip-resistance for improved safety under foot for the pub’s pedestrian traffic. 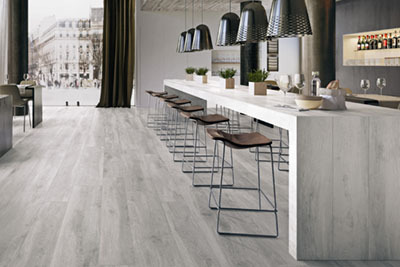 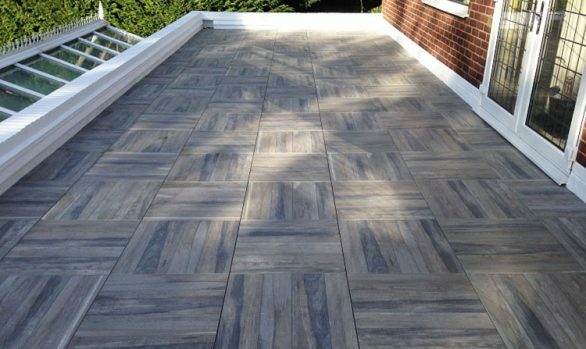 Also, porcelain is extremely durable, easy to install and high load bearing. 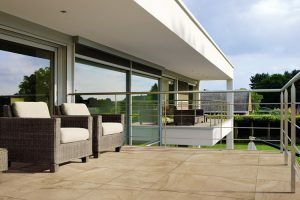 It doesn’t warp, stain or rot when wet, making it easy to clean and maintain, and importantly resistant to mould, moss and verdigris. 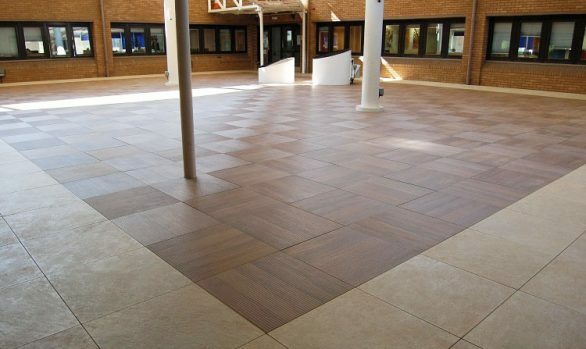 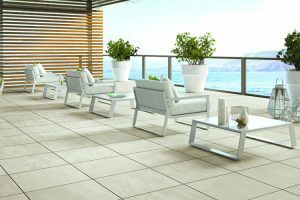 Surface 360, formally The Deck Tile Co, specialises in stone-effect porcelain tiles for both the interior and exterior of commercial buildings and residential homes. 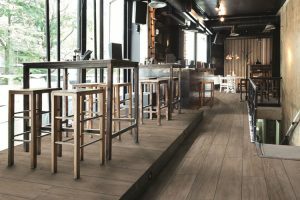 In particular, Quartz Style offers a complementary interior range to provide any building or home with coordinating flooring.